The barristers challenging the Quality Assurance Scheme for Advocates have today been granted permission to appeal to the Supreme Court. However, the Supreme Court declined permission to appeal against the Court of Appeal’s finding that the principle of independence of the advocate was not infringed by QASA, saying it did not have a real prospect of success. 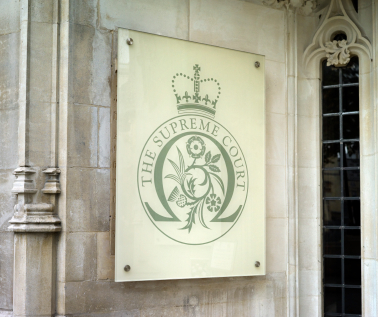 The appeal – provisionally listed for 16 March – will instead consider whether the Court of Appeal erred in law by failing to appreciate the effect of regulation 14 of the Provision of Service (POS) Regulations 2009, which implemented the 2006 Services Directive. The barristers are challenging the Legal Services Board’s (LSB) approval of QASA. Giving the lead judgment in the appeal court, and upholding the Divisional Court, Master of the Rolls Lord Dyson held that the scheme was lawful and did not interfere with the independence of the advocate or the judiciary. 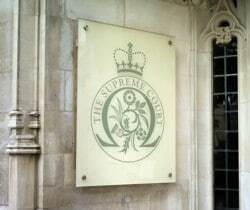 The Supreme Court’s order said it is “prepared to hear argument as to the correctness of the assumptions made by the Court of Appeal that the Services Directive is applicable and that QASA is an ‘authorisation scheme’”, and expects to hear argument as to the proper disposal of the appeal if the Court of Appeal’s approach to its role was too narrow. The barristers argued that this meant that QASA had to be proportionate, and that it did not meet this test. The Legal Services Board and Divisional Court had held that QASA was not an ‘authorisation scheme’ for the purposes of the regulations. The Court of Appeal said that if deciding this was necessary, it would have to refer to question to the European Court of Justice, but instead it resolved the issue by assuming – without deciding – that QASA was a qualifying scheme. The appeal court then concluded that “the LSB addressed the issue of proportionality and was entitled to conclude that QASA was proportionate”. The barristers are backed financially by the Criminal Bar Association and represented pro bono by a legal team of five barristers – Dinah Rose QC, Tom de la Mare QC, Mark Trafford, Tom Richards and Jana Sadler-Forster – and solicitors Baker & McKenzie. The Supreme Court has made a protective costs order, as happened in the earlier hearings too. To date the barristers are facing a costs bill of £215,000 – £150,000 for their defeat in the High Court and £65,000 for the Court of Appeal.